The right man in the right place can devastate the enemy, especially with this knife on him. With honor and respect to all Special Forces operators and their association. The Special Forces operators are a unique blend of highly cross-trained soldiers with the ability to be deployed around the world. Their primary missions are: Unconventional Warfare, Hostage Rescue, Counter Terrorism, Combat Search and Rescue, Direct Action, Counter Drug Ops, and many more... 'Cause they're hard to the core! The right man in the right place can devastate the enemy, but he must have the right equipment. 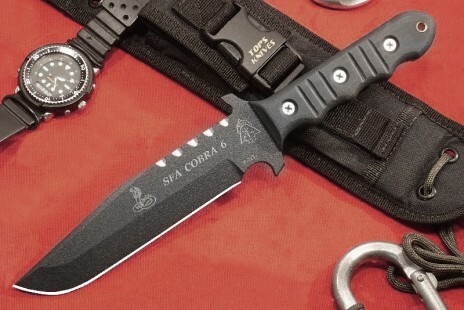 The SFA Cobra 6 is an excellent combat knife. It has a solid handle with guards to keep the user's hand where it should be. Great for slashing cuts as well as stabbing cuts. it's the perfect knife for a Special Forces Operator.